There’s a new app that helps people find forgotten Snapchat photos sent during nights of intoxication. Drunk Mode, released in beta this month, has a host of features to help mop up alcohol-fuelled tomfoolery. It was created to keep people safe during nights out — and is the idea of Joshua Anton, who first came up with the idea when he received a call from a drunken friend while a student at the Univeristy of Virginia, he told the Huffington Post. It works by enabling an alternative mode on smartphones, which people can switch to when they know they’re going out on the town. It can run between 3 and 12 hours — but can be disabled early by solving a maths sum. But there’s something much more exciting in development. 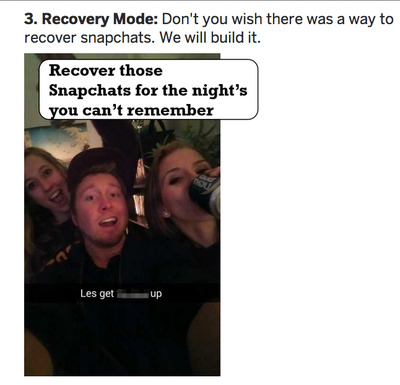 In February, a “Recovery Mody” will arrive, which will help locate Snapchat photographs sent during evenings of booze and — perhaps — debauchery. It will also track down where they were taken. The app will allow people to see what they sent the night before, something unheard of today because Snapchat images disappear just seconds after being delivered. There have been lots of stories of forgotten photographs cropping up months down the line. Drunk Mode, it seems, could help eradicate problems associated with “sexting”; increasingly popular with teenagers these days. In October, Business Insider reported on the “Snappening”, where a huge collection of intercepted Snapchat photos and videos was released by hackers. Drunk ModeHave you ever sent a dodgy photo on Snapchat? 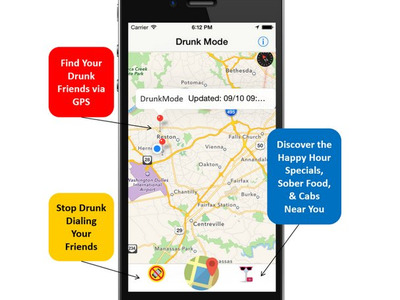 Three other updated Drunk Mode features are also planned for 2015, such as a connection with taxi services like Uber, a link to the best late-night food spots, and a map that shows where the coolest parties are. 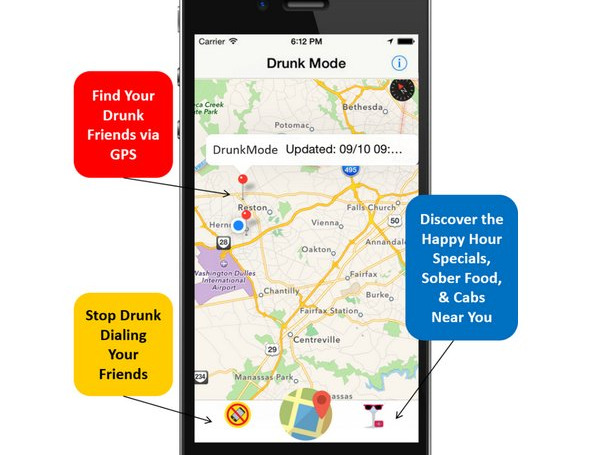 Drunk Mode is for people who “believe they are downloading a drunk app, but they are really downloading an app with safety components,” the Huffington Post reports. The app is still going through testing, but since its beta launch has amassed nearly 100,000 users. It’s mainly designed for college students, but is available to anyone who feels they need a helping hand when drinking.